Surface tension is a measurement of the cohesive energy present at an interface. The molecules of a liquid attract each other. The interactions of a molecule in the bulk of a liquid are balanced by an equal attractive force in all directions. Whereas molecules on the surface of a liquid experience an imbalance. Sigma force tensiometers as well as Theta and Theta Lite optical tensiometers are well suited to the measurement of equilibrium surface tension. 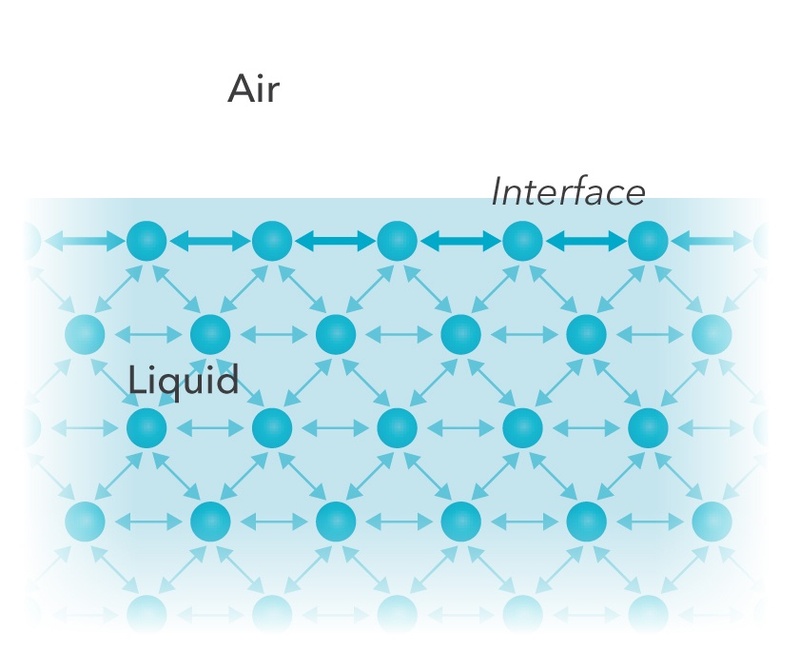 The cohesive forces between liquid molecules are responsible for the phenomenon known as surface tension (ST). The molecules at the surface do not have the similar neighboring atoms on all sides and thus they cohere more strongly to those directly associated with them on the surface. This forms a surface ‘film’ that makes it more difficult to move an object through the surface than move it when it is completely immersed (Figure 1). The same situation also applies at the interface of the two liquids that do not mix together. In this case the term interfacial tension (IFT) is used. There are several different units for surface and interfacial tension; typically mN/m (which is equivalent to dynes/cm) is used. How is surface tension measured? Equilibrium surface tension can be measured with force or optical tensiometers. The measurement of surface and interfacial tension as performed by a Sigma force tensiometer is based on force measurements of the interaction of a probe with the surface of interface of two fluids. With any of the techniques described herein you may perform interfacial tension measurements just like surface tension measurements by ensuring that the bulk of the probe is submersed in the light phase prior to beginning the experiment. In these experiments a probe is hung on a balance and brought into contact with the liquid interface tested. 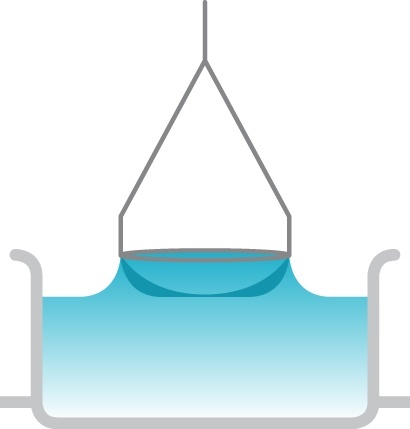 The forces experienced by the balance as the probe interacts with the surface of the liquid can be used to calculate surface tension. The forces present in this situation depend on the following factors: size and shape of the probe, contact angle of the liquid/solid interaction and surface tension of the liquid. The size and shape of the probe are easily controlled. The contact angle is controlled to be zero (complete wetting). This is achieved by using probes with high-energy surfaces. Attension® probes are made of a platinum/iridium alloy that ensures complete wetting and easy and reliable cleaning. The mathematical interpretation of the force measurements depends on the shape of the probe used. Two types of probes are commonly used, the Du Noüy ring and the Wilhelmy plate. A metal rod can also be used to limit the liquid sample volume. The ring is above the surface and the force is zeroed. The ring hits the surface and there is a slight positive force due to the adhesive force between ring and surface. The ring must be pushed through the surface (due to the surface tension), which causes a small negative force. The ring breaks through the surface and a small positive force is measured due to the supporting wires of the ring. When lifted through the surface the measured force starts to increase. The force keeps increasing until the maximum force is reached. After the maximum there is a small decrease of in the force until the lamella breaks. The calculation of surface or interfacial tension in this technique is based on a measurement of maximum force. The depth of immersion of the ring and the level to which it is raised when it experiences the maximum pull are irrelevant. The original calculations based on the ring technique were based on theories that apply to rings of infinite diameter and do not consider an additional volume of liquid that is raised due to the proximity of one side of the ring to the other. The additional liquid lifted is shown in dark turquoise in the diagram below. Attension software uses mathematical corrections developed to compensate for this extra liquid. This method utilizes the interaction of a platinum plate with the surface being tested. The calculations for this technique are based on the geometry of a fully wetted plate in contact with, but not submerged in, the heavy phase. In this method the position of the probe relative to the surface is significant. As the surface is brought into contact with the probe Sigma instruments will record the height at which this occurs as the ‘zero depth of immersion’. The plate is then completely wetted to a set depth. When the plate is later returned to the zero depth of immersion, the force it registers can be used to calculate surface tension. A platinum rod probe can be used to measure the surface tension of limited quantities liquid. 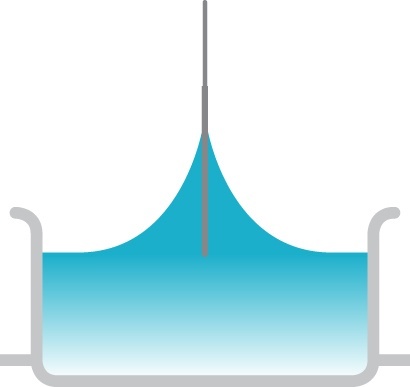 The amount of liquid needed to test with a certain probe must be sufficient to fill a vessel that accommodates the probe, to a depth which ensures complete wetting of the probe. Limitations to can occur when the edges of the probe approach the edges of the measuring vessel and affect the liquid meniscus. 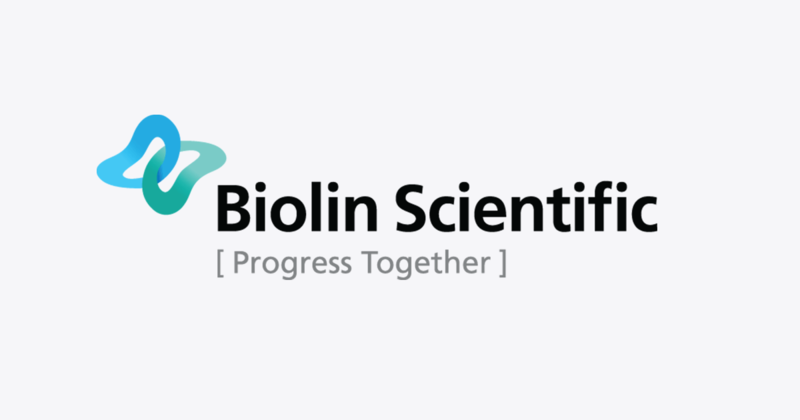 By using a metal rod as a probe it is possible to work with small volumes of test liquids. In any technique the absolute accuracy of the measurement of the geometry of your probe affects the accuracy of your results. Measurement of the geometry of a fine rod is likely to be less accurate, on a % basis, than the measurement of your larger probes. Therefore, this approach should only be used in situations where the volume of liquid available is an issue. The calculations for this technique are based on the same principles as the Wilhelmy plate method. β, the shape factor can be defined through the Young-Laplace equation expressed as 3 dimensionless first order equations as shown in the diagram below. Modern computational methods using iterative approximations allow solution of the Young-Laplace equation for β to be performed. 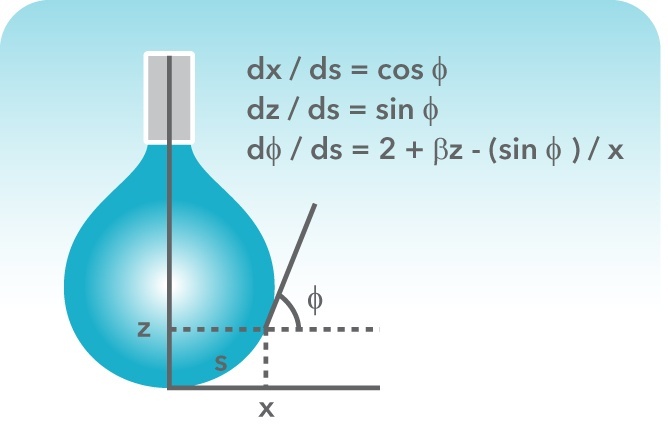 Thus for any pendant drop where the densities of the two fluids in contact are known, the surface tension may be measured based upon the Young-Laplace equation. 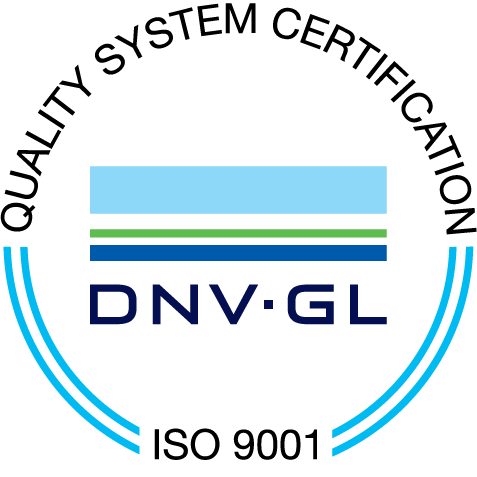 This approach represents a significant improvement, in both ease and accuracy, from traditional methods. This method has advantages in that it is able to use very small volumes of liquid, measure very low interfacial tensions and can measure molten materials easily. High quality surface and interfacial measurements can be made with this method using an Attension Theta or Theta Lite optical tensiometer.